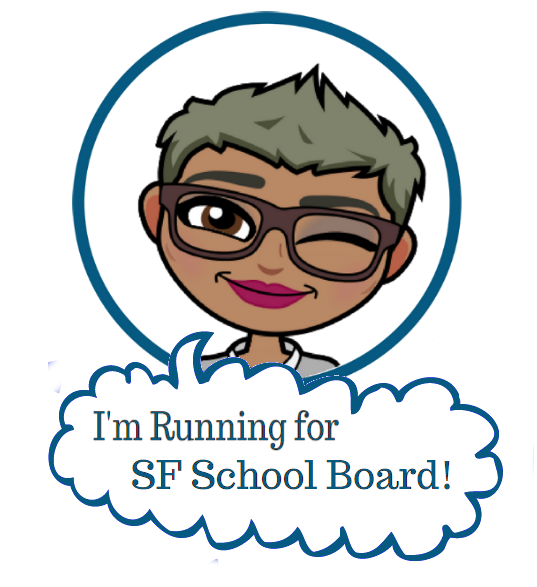 This is a blog for parents and educators to share information about how to support our children in San Francisco Public Schools. As an involved parent, I am interested in moving “beyond the bake sale”, to support our academic success for all children. By becoming informed and asking questions we can create public schools of the highest quality — I encourage you to join in on the conversation! If you want to know a little more about me or my values you can click on the top of the page. Many of my posts are available from the homepage. If you are looking for specific posts related to academics, parenting, or equity you can access them via the links here or in the menu at the top of the page. I also have a series of posts listing great books for kids and young adults. There are also many great opportunities to get involved in your community and school. 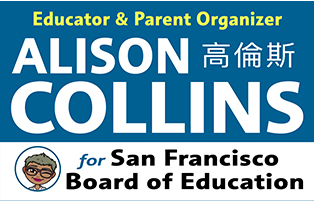 I’ve listed the one’s I’m aware as well as important SFUSD holidays and events in on my “What’s Happening?” page. If you don’t see something you are interested in, or have an education or parenting question you would like to see on this blog, please click here and post your question in the comments. Finally, if you like what you see, please share my content via Twitter, Facebook and Pinterest. Also, please consider subscribing to my blog, following me on Twitter and Pinterest, and Facebook. Like your new website format and inspiring posts.